Yellow Cab Shaw Boulevard, Mandaluyong is celebrating their anniversary with UNLI-Pizza Promo! 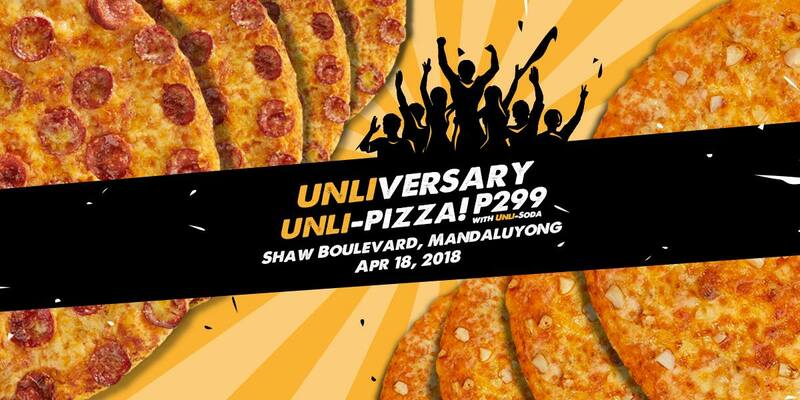 Enjoy all-day unlimited New York Classic Pizza, Gilroy Garlic Pizza, and bottomless Mountain Dew for P299. Head over to Yellow Cab Shaw Boulevard, Mandaluyong tomorrow!